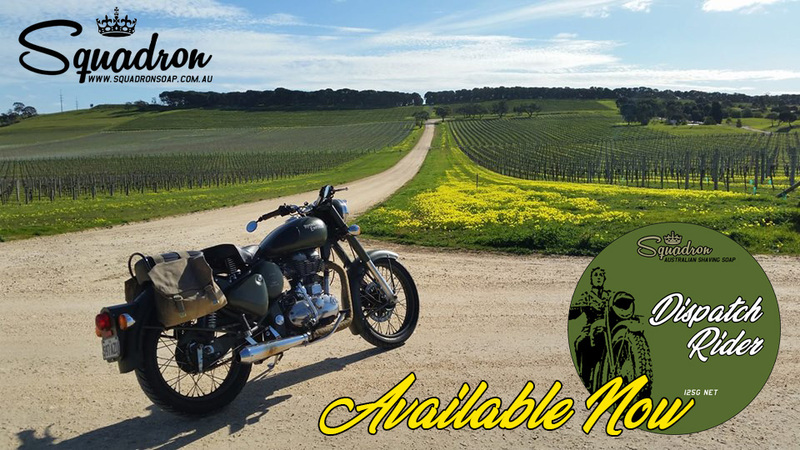 Scented only with essential oils, the idea for this soap came to me as I was riding my motorcycle through the Adelaide Hills and Barossa Valley one afternoon. We had a little rain earlier that morning, and the air was heavy with that moist, earthy scent, accented by a whiff of the first few flowers that the weather here had tricked the landscape into thinking it was spring. I thought it would make for a great shaving soap - perfect for the time of year where Winter meets Spring. 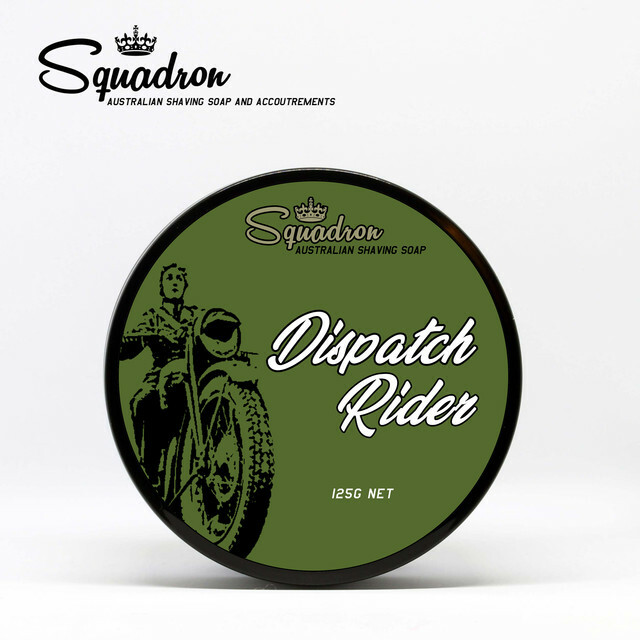 'Dispatch Rider' has the same soap base we use for all our products, scented with Vetiver and finest French Lavender. Take a ride with me across the countryside, and grab yourself a tub of 'Dispatch Rider'! No plans for a matching splash @SchoolForAnts? Not for this one mate. My first real big boy shaving soap. Looking forward to it arriving. thanks @SA940 it's on the way! - and your next big boy soap if I may suggest, is one from @todras at APR. Got it today, thank you. Smells great. Any tips for stepping up from Proraso to big boy soap? For your first time, try this method. Over time you'll adjust it to suit yourself. Moisten your brush in warm water (you dont want it wringing wet, remove excess water) and sprinkle some water on the shaving soap. Swirl the wet, softened brush over the top of the shaving soap. You need to build up a good coating of the soapy paste onto the bristles of the brush, so keep . Wet the skin, and begin to work the lather directly on your skin (or in a bowl). It will leave a thick paste on your skin at first, but it won’t be the right lather consistency at first. Add several drops of water to the brush, and continue to work up the lather. You should repeat this process several times, adding water, as needed, to build up the lather to the proper consistency. Once you’ve built up your lather, you can begin to shave. It should now leave a protective layer with the glide necessary to help protect your skin while shaving. Ok next question @SchoolForAnts. Seen there will be no aftershave for this awesome soap. Which of your recommend competitor @todras aftershave would you or him recommend to go with it. Show her my razor collection @SA940 and look at the brush collections and blade collections and you will be sane in comparison! And how do I now explain my new obsession to the wife? Perhaps the Lavioletta splash @SA940 - as it has 3 different types of lavender at its heart, including the same lavender I used in Dispatch Rider.